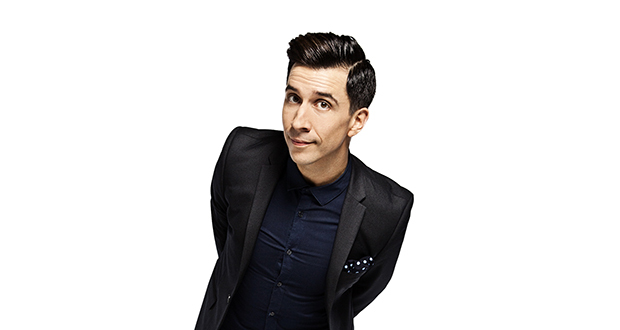 Russell Kane is to make two stops in the North East this summer as part of his newest tour. The comic will visit Stockton and Durham with his new Right Man, Wrong Age show in the coming months. Kane will perform at Durham’s Gala Theatre on Thursday 26 May and Stockton’s Arc Theatre on Saturday 4 June. The tour’s first North East date at Newcastle’s The Northern Stage on March 12 sold out in advance. The show, about growing up, maturity and the myth of being the “right” age, began in February and runs until the end of July. It has already enjoyed a six-night run at London’s Leicester Square Theatre. A four-time Edinburgh Comedy Award nominee and one-time winner, Kane is best known as the host of three series of BBC3‘s Live At The Electric, regular appearances on BBC1’s Live At The Apollo, BBC3’s Unzipped, ITV2’s Celebrity Juice and I’m A Celebrity Get Me Out of Here! Now! Kane was recently been announced as host of The Saturday Show as part of the re-launch of Virgin Radio, alongside Angela Scanlon.